Bus passengers on routes 76, 76a, 175 and 75 will have a new operator from November 2018. I can assure that the new opeartor will not lead to increased fares or reduced services and I welcome guarantees that free travel passes will be honoured by the new ‘Go-Ahead’ services and that fares cannot be increased without the go-ahead of the regulator. However an information campaign is needed to ensure that loyal passengers, in particular older people and young families, that they will not be out of pocket as a result of the switch away from Dublin Bus. “Our communities in Dublin South West will see some of the biggest changes as local bus routes switch from Dublin Bus to Go-Ahead. It is arguably the biggest shake up in services since Dublin Bus was established over 30-years ago. The reasoning behind the switch in operator has been explained and debated many times. However as it now becomes a reality it is important that passengers are kept fully informed. I have been assured by Transport Minister Shane Ross and the National Transport Authority that passengers should not be out of pocket or see reduced services because of the move. Free travel passes will continue to be honoured on the 76, 76a, 175 and 75 routes after Go-Ahead starts operating. 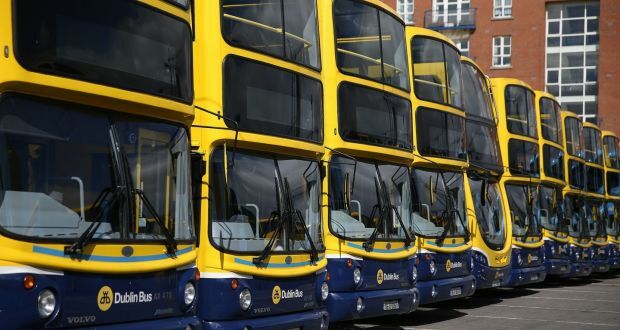 In addition there can be no increase in fares without permission of the Transport Authority – this is in line with current arrangements on Dublin Bus and Luas. Passengers must be assured of these guarantees before Go-Ahead busses start to roll at the end of next year. During the change-over process and once operations begin it is important that the service is kept under constant review. Across Dublin demand for public transport is increasing. It is vital that our local routes do not fall behind no matter who is operating them.